Cytogenetic Analysis: Modal number = 82; range = 70 to 164. There is a small telocentric chromosome in 98% of the cells. 100% aneuploidy in 1385 cells examined. Four typical HeLa marker chromosomes have been reported in the literature.HeLa Marker Chromosomes: One copy of Ml, one copy of M2, four-five copies of M3, and two copies of M4 as revealed by G-banding patterns. M1 is a rearranged long arm and centromere of chromosome 1 and the long arm of chromosome 3. M2 is a combination of short arm of chromosome 3 and long arm of chromosome 5. M3 is an isochromosome of the short arm of chromosome 5. M4 consists of the long arm of chromosome 11 and an arm of chromosome 19. Comments: The cells are positive for keratin by immunoperoxidase staining. HeLa cells have been reported to contain human papilloma virus 18 (HPV-18) sequences. P53 expression was reported to be low, and normal levels of pRB (retinoblastoma suppressor) were found. References: 21447: American Public Health Association. Compendium of methods for the microbiological examination of foods. 3rd ed.Washington, DC: American Public Health Association; 1992. 21491: AOAC International Invasiveness by Escherichia coli of mammalian cells, microbiological method. Gaithersburg, MD:AOAC International;AOAC "Official Methods of Analysis of the AOAC International" 982.36. 22148: Gey GO, et al. 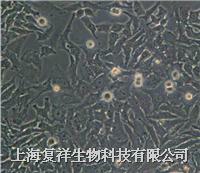 Tissue culture studies of the proliferative capacity of cervical carcinoma and normal epithelium. Cancer Res. 12: 264-265, 1952.